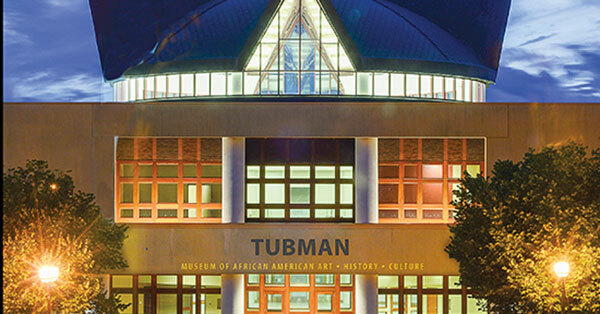 Tubman Museum and Middle Georgia State University are partnering to sponsor Black History Month events, including film screenings and a gallery talk. For more information, contact Jesse Klein, Middle Georgia State assistant professor of New Media/Film, at jesse.klein@mga.edu or Tubman Museum at (478) 743-8544. Jim Alexander is an award-winning documentary photographer whose career spans more than 50 years. He has taught photography at a half dozen colleges, including Yale University. He was photographer-in-residence at Atlanta’s Neighborhood Arts Center and at Clark-Atlanta University. In 1995 Alexander was chosen to inaugurate the city of Atlanta’s “Master Artist” program, and he was inducted into the HistoryMakers video oral history collection in 2006. His work is in many museum collections, including the Smithsonian Institution. At this special event, Alexander will share stories about his life and his work photographing the people and events that have guided the course of African American history and the struggle for human rights from the 1960s to the present day. The Department of Media, Culture, and the Arts at Middle Georgia State University in partnership with the Tubman Museum is hosting a screening of new student documentary works. As part of a growing collaboration between the University and the Museum, students in New Media classes were encouraged to make video portraits of prominent members of the African American community in the region. These films depict pillars of the community, among them entrepreneurs, activists and artists. In the summer of 1964, 700 student volunteers joined anti-segregation organizers in Mississippi. Freedom Summer was marked by sustained violence, including the murders of three civil rights workers, countless beatings, the burning of 35 churches and the bombing of 70 homes and community centers. Directed by acclaimed filmmaker Stanley Nelson (Freedom Riders, The Murder of Emmett Till), this film highlights an overlooked but essential element of the civil rights movement: the patient and long-term efforts by both outside activists and local citizens in Mississippi to organize communities and register black voters – even in the face of intimidation, physical violence and death. This free public screening of Freedom Summer will be introduced by Dr. Michele Beverly, lecturer at Middle Georgia State University. This public screening of Freedom Summer is made possible through support from the National Endowment for the Humanities and the Gilder Lehrman Institute of American History.